Rowley-Conwy, P., Albarella, A. and Dobney, K. 2012. Distinguishing wild boar and domestic pigs in prehistory: a review of approaches and recent results. Journal of World Prehistory 25: 1-44. Rowley-Conwy, P. in press. The Late Mesolithic of Southwest Portugal: a Zooarchaeological Approach to Settlement Patterns and Resource Exploitation. In The Muge Middens: 150 Years, ed. N. Bicho. Newcastle upon Tyne: Cambridge Scholars. Rowley-Conwy, P. and Layton, R.H. 2011. Foraging and farming as niche construction: stable and unstable adaptations. Philosophical Transactions of the Royal Society of London Series B, 366 (1566), 27 March 2011, 849-862. Layton, R.H., and Rowley-Conwy, P. in press. Wild things in the north? Hunter-gatherers and the tyranny of the colonial perspective. Anthropologie. International Journal of the Science of Man (Prague), special number Theory and Method in the Prehistoric Archaeology of Central Europe edited by Daniel Sosna. PR-C is also very interested in the origins and spread of agriculture, and has worked in various areas of Europe and the Near East. He is acting as Research Sponsor to Dr. Kurt Gron, who is coming to Durham as a Royal Society Newton Fellow. This project will start in January 2014, and will examine differences between the husbandry regimes of the first farmers in northern Germany (the LBK) and Denmark (the TRB). Rowley-Conwy, P. 2013. North of the frontier: early domestic animals in northern Europe. In The Origins and Spread of Domestic Animals in Southwest Asia and Europe, eds. S. Colledge, J. Conolly, K. Dobney, K. Manning and S. Shennan, 283-311. Walnut Creek: Left Coast Press. Rowley-Conwy, P., Gourichon, L., Helmer, D. and Vigne, J.-D. 2013. Early domestic animals in Italy, Istria, the Tyrrenian Islands ad southern France. In The Origins and Spread of Domestic Animals in Southwest Asia and Europe, eds. S. Colledge, J. Conolly, K. Dobney, K. Manning and S. Shennan, 161-194. Walnut Creek: Left Coast Press. Rowley-Conwy, P. 2011. Westward Ho! The spread of agriculture from Central Europe to the Atlantic. Current Anthropology 52(S4): 431-451. Innes, J.B., Blackford, J.J. and Rowley-Conwy, P.A. 2013. Late Mesolithic and Early Neolithic forest disturbance: a high resolution palaeoecological test of human impact hypotheses. Quaternary Science Reviews 77, 80-100. Lahtinen, M. and Rowley-Conwy, P. 2013. Early farming in Finland: was there cultivation before the Iron Age (500 BC?). European Journal of Archaeology 16(4), 660-684. PR-C also studies prehistoric crop plants, in particular from the major stratified site of Qasr Ibrim in Egyptian Nubia. The plant remains from this site are superbly preserved in the extreme desert environment, and present a unique view of agriculture covering nearly three thousand years, from 1000 BC to AD 1800. The material has been studied during a three-year NERC-funded project. Alan Clapham has identified about a third of a million plant items! This is now being written up for final publication in book form. Rowley-Conwy, P. The Gristhorpe burial in nineteenth century archaeology: an essay on the development of archaeological thought. To appear in Gristhorpe Man. A Life and Death in the Bronze Age, eds. N. Melton, J. Montgomery and C. Knusel. Oxford: Oxbow Books. 2006: Member of Executive and International Committee of International Council for Archaeozoology (2002-2006): This came about following the highly successful ICAZ conference in Durham in 2002, attended by over 500 delegates from all over thr world. 2004: Executive Editor, World Archaeology (2000-2004): Executive editor of World Archaeology for four years starting on 1.1.2001. I am the only editor to serve four years; I was asked to stay on for 2004 to manage the transition of the journal from three to four issues per year. 2004: NERC Terrestrial Sciences Peer Review Committee (2001-2004): Member of Terrestrial Sciences Peer Review Committee 2001-2004. Attended many funding meetings in Swindon, read numerous grant applications, member and deputy chairman of sub-committee awarding NERC Fellowships in spring 2004. This is my third stint on a NERC funding panel. Rowley-Conwy, P. (2007). From Genesis to Prehistory. The archaeological Three Age System and its contested reception in Denmark, Britain and Ireland. Oxford: Oxford University Press. Uchiyama, J., Clutton-Brock, J. & Rowley-Conwy, P. (Accepted). Mammal remains from the excavations at Seamer Carr, Yorkshire, 1977-1986. In Hunter-Gatherers in the Landscape: Investigations of the Early Mesolithic in the Vale of Pickering, North Yorkshire 1976-2000. Lane, P. & Schadla-Hall, T. McDonald Institute for Archaeological Research. Rowley-Conwy, Peter, Uchiyama, J. & Legge, A.J. (Accepted). Mammal remains from the Vale of Pickering Research Trust Excavations, Yorkshire, 1985-1998. In Hunter-Gatherers in the Landscape: Investigations of the Early Mesolithic in the Vale of Pickering, North Yorkshire 1976-2000. Lane, P. & Schadla-Hall, T. McDonald Institute for Archaeological Research. Gron, Kurt J. & Rowley-Conwy, Peter (2018). Environmental Archaeology in Southern Scandinavia. In Environmental Archaeology: Current Theoretical and Methodological Approaches. Piskin, E., Marciniak, A. & Bartkowiak, M. Springer International Publishing AG, Cham. 35-74. Rowley-Conwy, P. (2015). The Late Mesolithic of southwest Portugal: a zooarchaeological approach to resource exploitation and settlement patterns. In Muge 150th: the 150th Anniversary of the Discovery of Mesolithic Shellmiddens. Bicho, N., Detry, C., Price, T.D. & Cunha, E. Newcastle upon Tyne: Cambridge Scholars. 1: 255-272. Rowley-Conwy, P. (2014). Foragers and farmers in Mesolithic/Neolithic Europe, 5500-3900 cal BC: beyond the anthropological comfort zone. In Wild Things: Recent Advances in Palaeolithic and Mesolithic Research. Foulds, F., Drinkall, H., Perri, A., Clinnick, D. & Walker, J. Oxford: Oxbow Books. 185-201. Rowley-Conwy, P A , Gourichon, L, Helmer, D & Vigne, J-D (2013). Early Domestic Animals in Italy, Istria, the Tyrrhenian Islands, and Southern France. In The Origins and Spread of Domestic Animals in Southwest Asia and Europe. Sue Colledge James Conolly Keith Dobney Katie Manning & Stephen Shennan Left Coast Press. 161-194. Rowley-Conwy, P.A. (2013). North of the Frontier: Early Domestic Animals in Northern Europe. In The Origins and Spread of Domestic Animals in Southwest Asia and Europe. Sue Colledge James Conolly Keith Dobney Katie Manning & Stephen Shennan Left Coast Press. Wilkie, T., Mainland, I., Albarella, U., Dobney K. & Rowley-Conwy, P. (2007). A dental microwear study of pig diet and management in Iron Age, Romano-British, Anglo-Scandinavian and medieval contexts in England. In Pigs and Humans: 10,000 Years of Interaction. Albarella, U., Dobney, K., Ervynck, A. & Rowley-Conwy, P. Oxford: Oxford University Press. 241-254. Larson, G., Albarella, U., Dobney, K. & Rowley-Conwy, P. (2007). Current views on Sus phylogeography and pig domestication as seen through modern mtDNA studies. In Pigs and Humans: 10,000 Years of Interaction. Albarella, U., Dobney, K., Ervynck, A. & Rowley-Conwy, P. Oxford: Oxford University Press. 30-41. Albarella, A., Dobney, K., Ervynck, A. & Rowley-Conwy, P. (2007). Introduction. In Pigs and Humans: 10,000 Years of Interaction. Albarella, A., Dobney, K., Ervynck, A. & Rowley-Conwy, P. Oxford: Oxford University Press. 1-12. Jones, G. & Rowley-Conwy, P. (2007). On the importance of cereal cultivation in the British Neolithic. In The Origins and Spread of Domestic Plants in Southwest Asia and Europe. Colledge, S. & Conolly, J. Walnut Creek, California: Left Coast Press. 391-419. Lubell, D., Jackes, M., Sheppard, P. & Rowley-Conwy, P. (2007). The Mesolithic-Neolithic in the Alentejo: archaeological investigations 1984-1986. In From the Mediterranean Basin to the Portuguese Atlantic shore: Papers in Honor of Anthony Marks. Bicho, N. & Thacker, P. Faro: Universidade do Algarve. 209-229. Dobney, K., Ervynck, A. Albarella U. & Rowley-Conwy, P. (2007). The transition from wild boar to domestic pig in Eurasia, illustrated by a tooth developmental defect and biometrical data. In Pigs and Humans: 10,000 years of interaction. Albarella,U., Dobney, K., Ervynck,A. & Rowley-Conwy, P. Oxford: Oxford University Press. 57-82. Albarella, U., Manconi, F., Rowley-Conwy, P. & Vigne, J-D. (2006). Pigs of Corsica and Sardinia: a biometrical re-evaluation of their status and history. In Archaeozoological Studies in Honour of Alfredo Riedel. Tecchiati, U. & Sala, B. Bolzano: Province of Bolzano. 285-302. Rowley-Conwy, P. (2004). Animal bones and plant remains. In A Companion to Archaeology. Bintliffe, J.L. Oxford: Blackwell. 291-310. Rowley-Conwy, P. (2004). Complexity in the Mesolithic of the Atlantic Façade: development or adaptation?. In The Mesolithic of the Atlantic Façade. Gonzalez Morales, M.R. & Clark, G.A. Tempe: Arizona State University. 1-12. Bettinger, R.L. & Rowley-Conwy, P. (2004). Discussants' comments and overview. In Hunters and Gatherers in Theory and Archaeology. Crothers, G.M. Carbondale: Southern Illinois University, Center for Archaeological Investigations. 475-490. Rowley-Conwy, P. (2004). From Arene Candide to the Atlantic: the Bernabò Brea excavations and early domestic animals in the West Mediterranean. In Dalle Arene Candide a Lipari. Scritti in Onore di Luigi Bernabò Brea. Pelagatti, P. & Spadea, G. Rome: Ministero per i Beni e le Attività Culturali. 123-132. Rowley-Conwy, P. (2004). Hunter-Gatherer intensification and the straight arrow of progress: Australia and Northwest Europe compared. In Combining the Past and the Present: Archaeological Perspectives on Society. Oestigaard, T., Anfinset, N. & Saetersdal, T. Oxford: British Archaeological Reports. 49-59. Hodgetts, L. & Rowley-Conwy, P. (2004). Mammal and bird remains from the underwater excavations at Møllegabet II. In Møllegabet II. A submerged Mesolithic Settlement in southern Denmark. Skaarup, J. & Grøn, O. Oxford: Archaeopress. 144-147. Rowley-Conwy, P. (2003). Early domestic animals in Europe: imported or locally domesticated?. In The Widening Harvest. The Neolithic Transition in Europe: Looking Back, Looking Forward. Ammerman A. & Biagi P. Boston: Archaeological Institute of America. AIA Colloquia and Conference Papers 6: 99-117. Rowley-Conwy, P. (2003). No fixed abode? Nomadism in the Northwest European Neolithic. In Stones and Bones. Formal disposal of the dead in Atlantic Europe during the Mesolithic-Neolithic interface 6000-3000 BC. 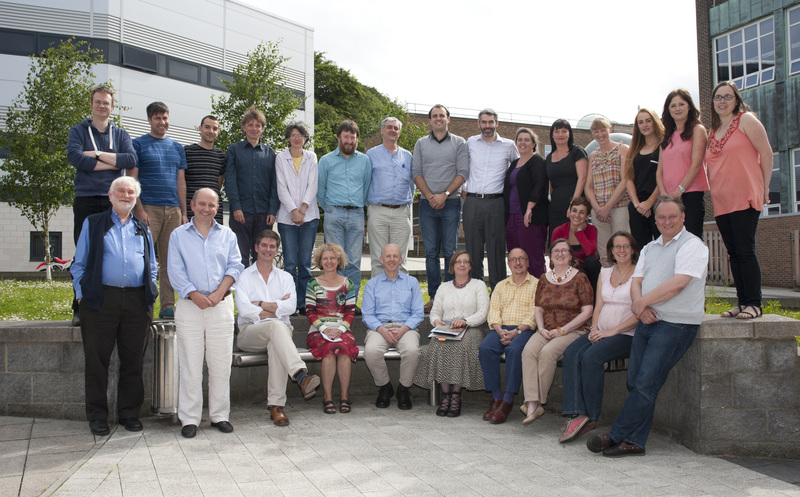 Archaeological Conference in Honour of the Late Professor Michael J. O'Kelly. Burenhult, G. & Westergaard, S. Oxford: British Archaeological Reports. 115-144. Shaw, C.H., Deakin, W. & Rowley-Conwy, P. (2001). Ancient DNA from archaeological sorghum from Qasr Ibrim, Egyptian Nubia: methods and results. In Archaeological Sciences 1997. Proceedings of the Conference held at the University of Durham, 2nd-4th September 1997. Millard, A.R. Oxford: Archaeopress. 96-99. Rowley-Conwy, P. (2001). Determination of season of death in European wild boar (Sus scrofa ferus): a preliminary study. In Archaeological Sciences 1997. Proceedings of the Conference held at the University of Durham, 2nd-4th September 1997. Millard, A.R. Oxford: Archaeopress. 133-139. Rowley-Conwy, P. (2001). European Mesolithic. In Encyclopedia of Archaeology. History and Discoveries vol. 2. Murray, T. Santa Barbara: ABC-CLIO. 478-491. Panter-Brick, C., Layton, R.H. & Rowley-Conwy, P. (2001). Lines of enquiry. In Hunter-Gatherers. An Interdisciplinary Perspective. Panter-Brick, C., Layton, R.H. & Rowley-Conwy, P. Cambridge: Cambridge University Press. 1-11. Rowley-Conwy, P. (2001). Time, change and the archaeology of hunter-gatherers: how original is the 'Original Affluent Society'?. In Hunter-Gatherers: An Interdisciplinary Perspective. Panter-Brick, C., Layton, R.H. & Rowley-Conwy, P. Cambridge: Cambridge University Press. Biosocial Society Symposium Series 13: 39-72. Albarella, U., Dobney, K., Ervynck, A. & Rowley-Conwy, P. (2007). Pigs and Humans: 10,000 Years of Interaction. Oxford: Oxford University Press. Panter-Brick, C., Layton, R. H. & Rowley-Conwy, P. (2001). Hunter-Gatherers: An Interdisciplinary Perspective. Biosocial Series. Cambridge: Cambridge University Press. Rowley-Conwy, P. (2004). Debates in World Archaeology. World Archaeology, 36 (4): Routledge. Binder, Didier, Lanos, Philippe, Angeli, Lucia, Gomart, Louise, Guilaine, Jean, Manen, Claire, Maggi, Roberto, Muntoni, Italo M., Panelli, Chiara, Radi, Giovanna, Tozzi, Carlo, Arobba, Daniele, Battentier, Janet, Brandaglia, Mario, Bouby, Laurent, Briois, François, Carré, Alain, Delhon, Claire, Gourichon, Lionel, Marinval, Philippe, Nisbet, Renato, Rossi, Stefano, Rowley-Conwy, Peter & Thiébault, Stéphanie (2018). Modelling the earliest north-western dispersal of Mediterranean Impressed Wares: new dates and Bayesian chronological model. Documenta Praehistorica 44: 54-77. Rowley-Conwy, P. (2018). Zooarchaeology and the elusive feast: from performance to aftermath. World Archaeology 50(2): 221-241. Gron, K. J., Gröcke, D. R., Larsson, M., Sørensen, L., Larsson, L., Rowley-Conwy, P. A. & Church, M. J. (2017). Nitrogen isotope evidence for manuring of Early Neolithic Funnel Beaker Culture cereals from Stensborg, Sweden. Journal of Archaeological Science: Reports 14: 575-579. Lahtinen, M., Oinonen, M., Tallavaara, M., Walker, J. & Rowley-Conwy, P. (2017). The advance of cultivation at its northern European limit: process or event?. The Holocene 27(3): 427-438. Gron, K.J., Montgomery, J. & Rowley-Conwy, P. (2015). Cattle Management for Dairying in Scandinavia’s earliest Neolithic. PLOS ONE 10(7): e0131267. Rowley-Conwy, P. & Zeder, M. (2014). Mesolithic domestic pigs at Rosenhof – or wild boar? A critical re-appraisal of ancient DNA and geometric morphometrics. World Archaeology 46(5): 813-824. Bishop, R R, Church, M J & Rowley-Conwy, P A (2014). Seeds, fruits and nuts in the Scottish Mesolithic. Proceedings of the Society of Antiquaries of Scotland 143: 9-72. Rowley-Conwy, P. & Zeder, M. (2014). Wild Boar or Domestic Pigs? Response to Evin et al. World Archaeology 46(5): 835-840. Church, M. J. & Rowley-Conwy, P. A. (2013). Pabaigh Mòr. Discovery and Excavation in Scotland, New Series 14: 198. Layton, R. & Rowley-Conwy, P. (2013). Wild things in the north? Hunter-gatherers and the tyranny of the colonial perspective. Anthropologie. International Journal of Human Diversity and Evolution 51(2): 213-230. Church, M.J., Bishop, R.R., Blake, E., Nesbitt, C., Perri, A., Piper, S. & Rowley-Conwy, P.A. (2012). Temple Bay, Harris. Discovery and Excavation in Scotland, New Series 13: 186. Rowley-Conwy, PA & Owen, AC (2011). Grooved Ware Feasting in Yorkshire: Late Neolithic Animal Consumption at Rudston Wold. Oxford Journal of Archaeology 30(4): 325-367. Rowley-Conwy, PA (2011). Westward Ho! The spread of agriculture from Central Europe to the Atlantic. Current Anthropology 52(S4): 431-451. Larson, G., Albarella, U., Dobney, K., Rowley-Conwy, P., Schibler, J., Tresset, A., Vigne, J-D., Edwards, C.J., Schlumbaum, A., Dinu, A., Balaçsescu, A., Dolman, G., Tagliacozzo, A., Manaseryan, N., Miracle, P., van Wijngaarden-Bakker, L., Masseti, M., Bradley, D.G. & Cooper, A. (2007). Ancient DNA, pig domestication, and the spread of the Neolithic into Europe. Proceedings of the National Academy of Sciences 104(39): 15276-15281. Albarella, U., Tagliacozzo, A., Dobney, K. & Rowley-Conwy, P. (2006). Pig hunting and husbandry in prehistoric Italy: a contribution to the domestication debate. Proceedings of the Prehistoric Society 72: 193-227. Albarella, U., Davis, S.J.M., Detry, C. & Rowley-Conwy, P. (2005). Pigs of the ‘Far West’ the biometry of Sus from archaeological sites in Portugal. Anthropozoologica 40(2): 27-54. Dobney, K., Anezaki, T., Hongo, H., Matsui, A., Yamazaki, K., Ervynck, A., Albarella, U. & Rowley-Conwy, P. (2005). The transition from wild boar to domestic pig as illustrated by dental enamel defects (LEH): a Japanese case study including the site of Torihama. Torihama Shell Midden Papers 4/5: 51-76. Rowley-Conwy, P. (2004). Age at death: a zooarchaeological technique with implications for anthropology, agricultural economics and history. Journal of Interdisciplinary Studies in History and Archaeology 1(1): 51-59. Rowley-Conwy, P. (2004). How the West was lost: a reconsideration of agricultural origins in Britain, Ireland and southern Scandinavia. Current Anthropology 45(S4): 83-113. Copley, M.S., Jim, S., Jones, V., Rose, P., Clapham, A., Edwards, D.N., Horton, M., Rowley-Conwy, P. & Evershed, R.P. (2004). Short- and long-term foraging and foddering strategies of domesticated animals from Qasr Ibrim, Egypt. Journal of Archaeological Science 31(9): 1273-1286. Dobney, K.M., Ervynck, A., Albarella, U. & Rowley-Conwy, P. (2004). The chronology and frequency of a stress marker (linear enamel hypoplasia) in recent and archaeological populations of Sus scrofa in north-west Europe, and the effects of early domestication. Journal of Zoology 264(2): 197-208. Rowley-Conwy, P. (2004). The Three Age System in English: new translations of the founding documents. Bulletin of the History of Archaeology 14(1): 4-15. Innes, J., Blackford, J. & Rowley-Conwy, P. (2003). The start of the Mesolithic-Neolithic transition in North-West Europe – the palynological contribution. Antiquity 77(297). Rowley-Conwy, P. (2001). Science, theory and archaeology in Britain: a minimalist view of the debate. Archaeologia Polona 39: 17-36.